If your order weighs less than 13 ounces, save huge on shipping with USPS first class (with tracking number). This product weighs 10.5 oz. 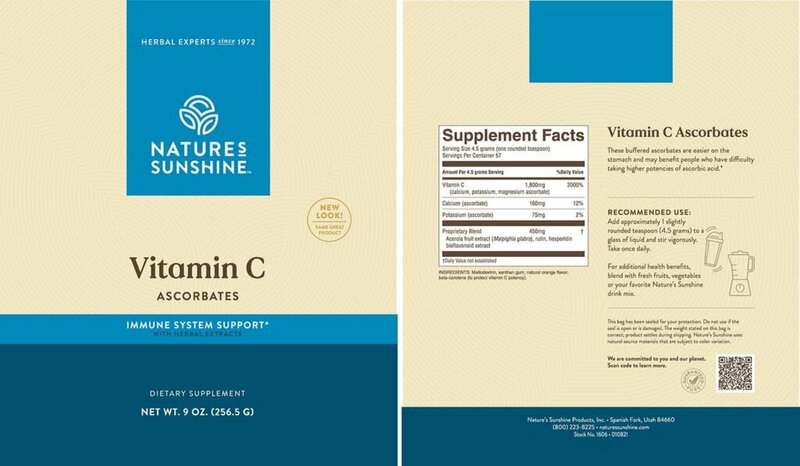 Nature’s Sunshine Vitamin C Ascorbates provides essential immune system support. This convenient powdered formula offers non-acidic immune protection that may be mixed with water or another beverage. 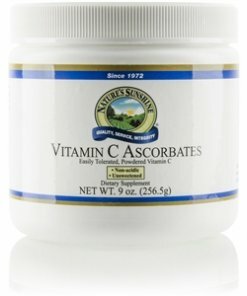 A serving of Vitamin C Ascorbates includes 2,000 mg of vitamin C and a blend of calcium, potassium, and magnesium. 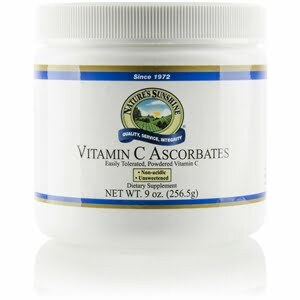 Vitamin C Ascorbates provides an easy-on-the-stomach source of vitamin C.
Instructions: Add approximately 1 slightly rounded teaspoon (4.5 grams) to a glass of liquid and stir vigorously. This package will make 57 servings. Maltodextrin, acerola fruit extract (Malpighia glabra), xanthan gum, natural orange flavor, rutin and hesperidin (bioflavonoids), and beta carotene (contains soy).